If you are in the field of education, you’ve probably heard the buzz about innovative practices in different corners of the world. Finland’s education system tops the list as one of the places often cited for innovation in teaching and learning. Finland has built their entire education system around having students learn by solving real problems. Students identify problems to solve and at the same time learn core academic skills to help tackle these problems. This experience is called Phenomenon-Based Learning which is in the same family as problem-based learning and inquiry-based learning. 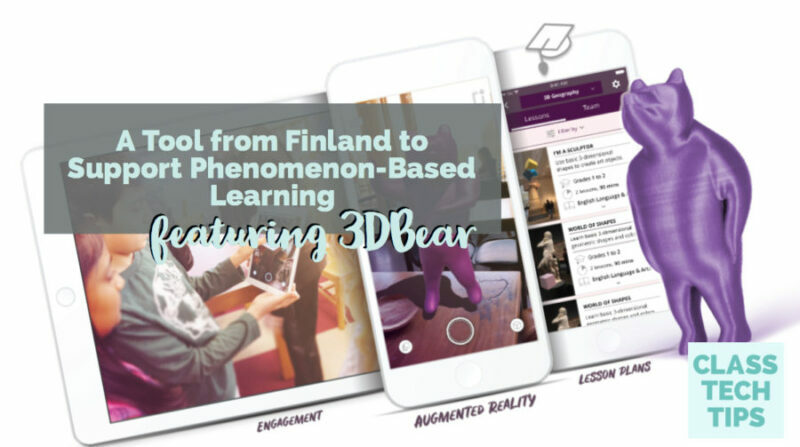 Whether you are embracing phenomenon-based learning this year, or simply excited about augmented reality in the classroom, 3DBear is a fantastic tool from Finland I’m excited to share with you today! We all know that students learn deeply when they have agency and context to the topics they are learning. One of the reasons Phenomenon-Based Learning (PhBL) is popular is because it makes learning experiences engaging and actionable for students. When it comes to Phenomenon-Based Learning, 3DBear is a fantastic option for using augmented reality in the classroom. It can help educators incorporate relevant, real-world experiences into their everyday instruction. The video below provides a window into 3DBear in action. I had the chance to connect with their team earlier this year and I’m really impressed about their commitment to making the integration of augmented reality purposeful and meaningful in the classroom. You can listen as a classroom teacher shares her experience, and students connect to engaging learning experiences. Regular readers of the blog know I’m a big fan of augmented reality in the classroom. So when the folks at 3DBear reached out this summer, I was excited to learn more about how they support students and teachers. 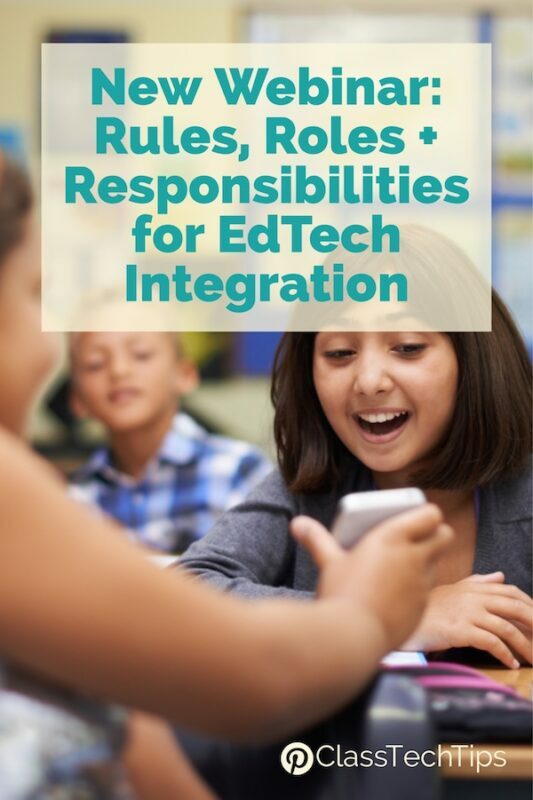 There are many AR tools with ready-made content unrelated to your curriculum goals. With 3DBear, students and teachers become the creator and designer themselves. You can ensure that these learning experiences connect to content area goals, instead of an augmented reality experience that is eye-catching, but not exactly related to instruction. I often use the phrase “tasks before apps” to stress the importance of having a clear vision for technology integration. When it comes to augmented reality in the classroom, some people view this technology as a gimmick. The folks at 3DBear take augmented reality in education seriously. They’ve developed a product and resources for educators that helps elevate and energize classroom instruction. Lesson plans and workshops for teachers are all accessible within the 3DBear platform. They have content tailored specifically for K-12 students and the ability to create your own. Just like my “tasks before apps” mindset, the 3DBear application is designed with “pedagogy first” — not just for fun. The folks at 3DBear are focused on sustainable technology integration. 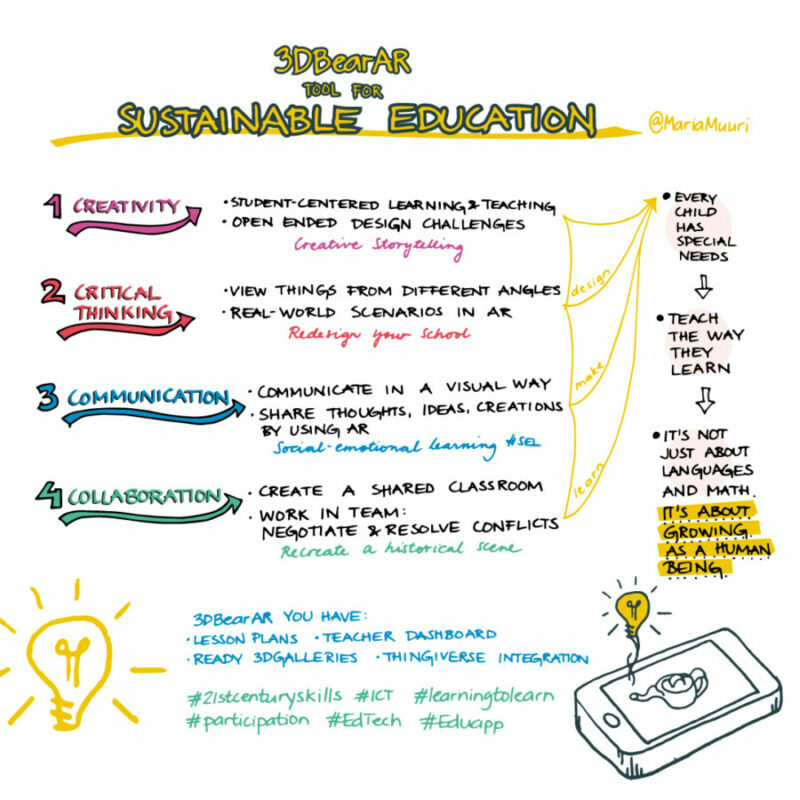 In the graphic above, you can see how 3DBear connects to creativity, critical thinking, communication and collaboration in the classroom. As you design learning experiences for students and curate the very best resources, 3DBear is definitely worth checking out. 3DBear is an open-ended creation tool you can use with students in an endless number of ways. For example, students might redesign your school using 3DBear as they explore concepts in geometry. Students could reenact historical scenes in the social studies classroom or tell a story based on a book they’ve read. From math and science to social studies and English Language Arts, you can use 3DBear in the classroom in numerous ways! With 3DBear you can gamify learning using augmented reality in your classroom. Kinaesthetic and visual learners can interact with course material in an entirely new way. You won’t need an AR trigger to access a 3DBear augmented reality experience either – students can move around and design as they like. First, download the app using one of the links below. When you set up an account, you can access lesson plans or start creating your own unique learning experiences. Students can design 3D models in augmented reality, and even 3D print their designs. Try out the 3DBear application yourself! Here are links to the Apple App Store and the Google Play Store – or – sign up for their free Teacher Trial! You’ll get 30 days of full access to their lesson plans, teachers dashboard, and you can enroll up to 30 students. Here is a link to the free trial signup page!